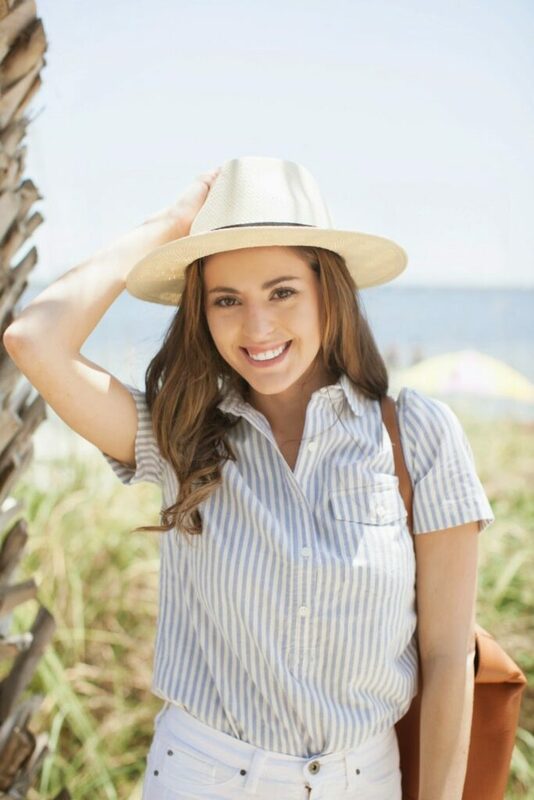 I digitally “met” Megan of Lush to Blush pretty recently but was immediately taken by her amazing style and sweet personality – I love her accessible yet inspirational aesthetic, but particularly love this girl’s take on summer style! 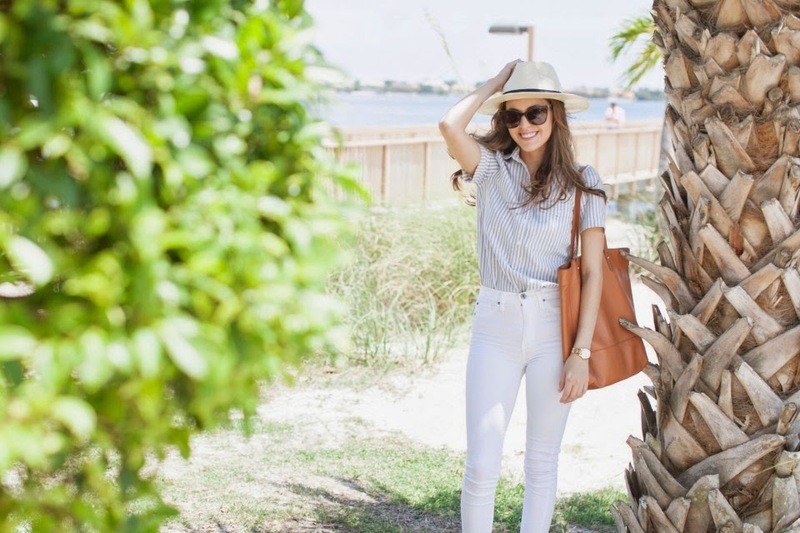 Click through to see her take on tropical style and catch all her tips! Hello To Vogue or Bust readers! My name is Megan Elliott from Lush to Blush and I’m so excited to share one of my favorite tropical looks with you today! As a former Floridian, I feel most at home when I’m by the sea and with that comes my comfiest and most true-to-me outfits. I like to think of my style as fresh, comfortable and clean, and this look is exactly that. The light and airy colors combined with the modern take on a classic print and silhouette make this look the ultimate carefree summer ensemble that will remain timeless year after year. I love her beach look, its so effortless and chic. She looks great! I seriously love love love this look. And she looks just like Alyssa Milano! Love the look, really fresh perfect for the summer heat. I think this is a great travelling outfit. I'm trying to incorporate a hat into my airplane ensemble so that I don't have to pack one. You've given me great idea! Cute:) I love this look!